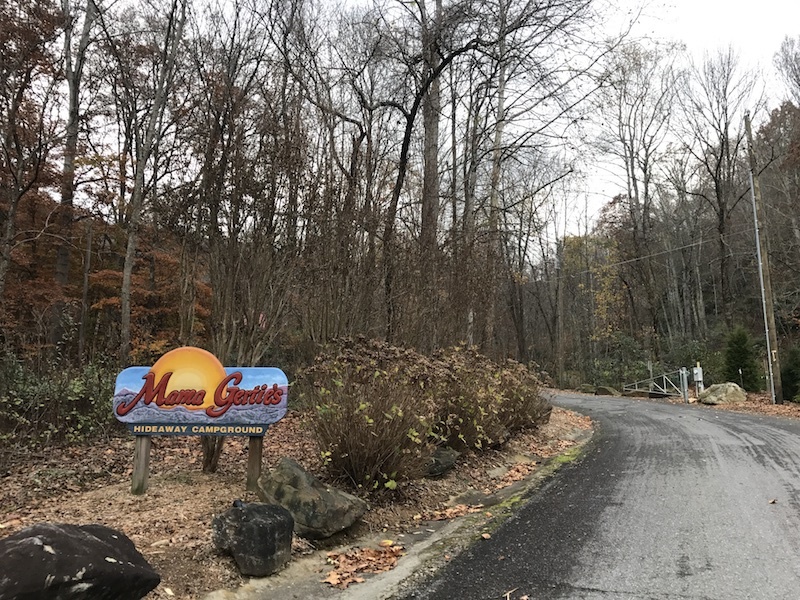 Mama Gertie’s Hideaway Campground is nestled in Swannanoa around the outskirts of Asheville, North Carolina. All the action of Asheville is an easy drive down interstate 40 just two miles away. You can literally be downtown sipping a beer from one of the many local breweries within 20 minutes (including parking). 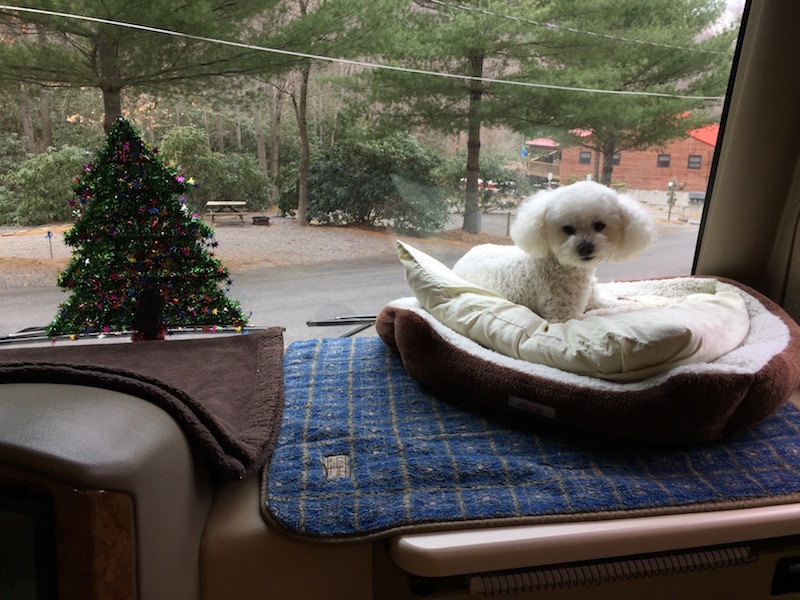 Mama Gerties Hideaway is a very beautiful campground that is manicured and extremely well maintained. The couple that run the campground are always about in their club cars making sure the campground always looks its best. They have sites for everyone including tent sites, primitive cabins, back-in sites, and pull-throughs. 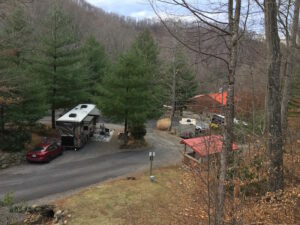 The layout of the sites is very well thought out with most sites stepped up the side of the mountain so that everyone has a great view and a lot of privacy. You are basically driving up the side of a mountain. The navigation can be a bit intimidating, but not really that bad as long as you take it slow. I’d recommend disconnecting your tow before starting up to your site. There are a number of large parking lots at the base of the mountain where you can connect/disconnect your tow. There’s also a gas station there that I was able to navigate with our coach to fill up with diesel. The campground has a small camp store, as well as a propane refill station. They have onsite laundry and a gym as if walking up and down the hilly campground isn’t enough of a workout. The one thing they don’t have is a pool, but we didn’t even miss it. The staff are very friendly and busy keeping the place beautiful. This campground would have been a perfect 5 star campground if it weren’t for the very bad WiFi and a not so good Verizon signal. In this day and age, it really isn’t acceptable for any 5 star campground to not have free video streaming quality WiFi.